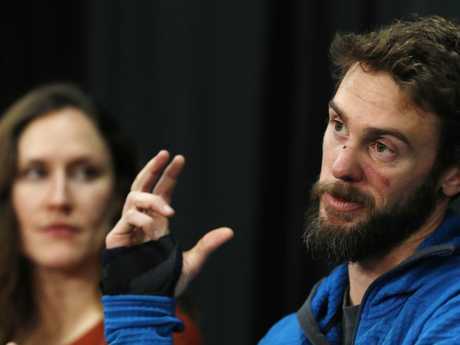 The man who survived a mountain lion attack while out for a run in Colorado recalled thinking "this would be a crappy way to die" during his fight for survival. 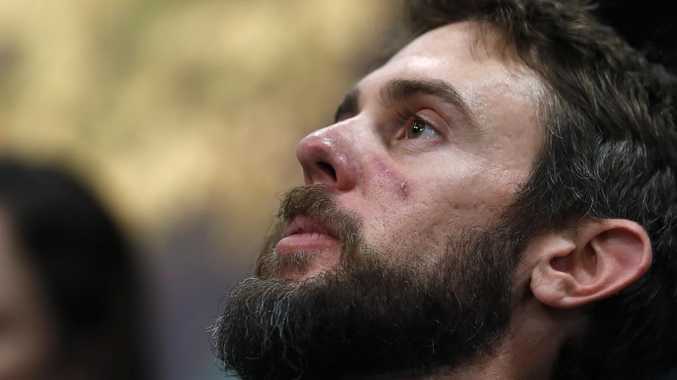 Travis Kauffman, 31, has told a local radio station that he first noticed the wild animal during his run down a trail on February 4, when he heard pine needles rustle behind him. "I stopped and turned," Mr Kauffman told KUNC radio. 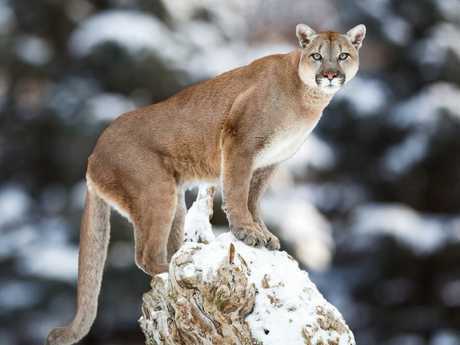 "In the back of my mind I always wonder if it's something dangerous like a bear or a bobcat or a mountain lion, and in this case it was in fact a mountain lion." 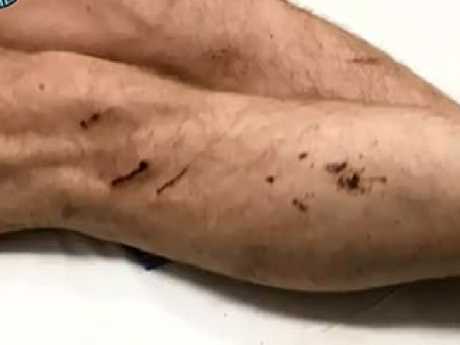 He said he tried to scare off the animal by putting up his arms and screaming at it, but the mountain lion charged at him and pounced. The big cat, which weighed about 36 kilograms, sunk a tooth into his wrist and another into his thumb. It then scratched his back with its front claws and gouged his thighs with his hind legs. As he struggled with the animal, they both tumbled off the trail. "But during that fall, the cat ended up on its back and it still had my wrist this whole time in its mouth," Mr Kauffman told the radio station. He was able to pin the animal's hind legs down with his body, then he picked up a rock and started hitting the cat in the head. Eventually, Mr Kauffman decided his best plan of attack was to strangle the cat. "I got my right foot onto its neck," he said. "And then I was able to get some weight onto its windpipe and that's what eventually suffocated it." The fight lasted an excruciating 10 minutes, he told the radio station, during which Mr Kauffman said he did fear for his life. "One of the thoughts that I was having was like, 'Well this would be a pretty crappy way to die,'" he said. "Just off on the side of the mountain, screaming and having this cat wrapped around my wrist. Then eventually another cat comes in and takes me out, and then getting eaten by a bunch of mountain lions. That wouldn't be an ideal way to go." After he got free, Mr Kauffman got help from another runner and two hikers who drove him to a nearby hospital. 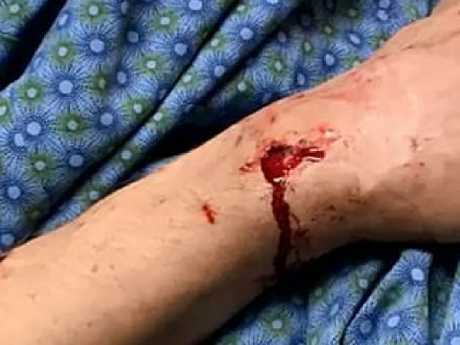 Doctors gave him more than two dozen stitches and a brace for his wrist, the radio station reported.